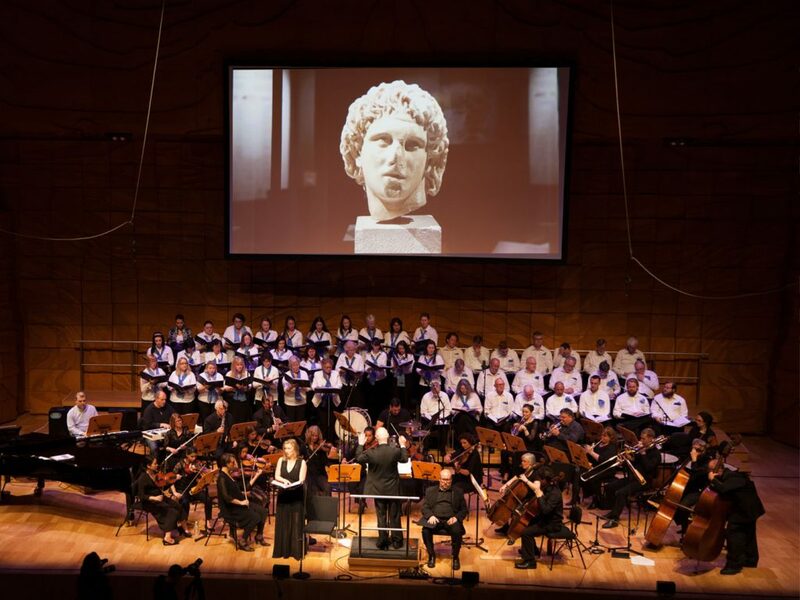 To celebrate the 30th anniversary of its foundation, the Australian Institute of Macedonian Studies (AIMS), in collaboration with the Greek Community of Melbourne and Victoria and the Pan-Macedonian Association, presented the musical concert “Alexander the Great: Pioneering Multiculturalism”. The concert took place on Wednesday, October 26 at 8 pm in one of the world’s finest music halls, the Melbourne Recital Centre or “Elizabeth Murdoch Hall”. The hall is renowned for its architectural style and acoustic perfection. The music was written specifically for this concert by the well-known Melbournian composer Christos Ioannidis. Some of Christos’ most popular compositions include the “Free Besieged”, “Massa Confusa”, “Syphonia Polyethnic” and “Southern Landscape”. Alexander the Great’s piece swept a great narrative arc, celebrating Alexander the Great’s life and achievements in promoting the Hellenic ideals within a vast multicultural empire. An important theme of the concert was Alexander’s role in pioneering multiculturalism and nurturing an intermingling of Greek civilization, language and traditions with those of Asia. The music was performed by the Camerata Chamber Orchestra, consisting of 25 musicians (including a flute, oboe, clarinet, French horn, 2 trumpets, trombone, timpani, keyboard, 2 Pianos, 7 Violins, 2 violas, 2 cellos, double bass), who were managed by one of Australia’s leading conductors and music educators, Douglas Heywood OAM. From left to right, Adrian McEniery, Douglas Heywood OAM and Lauren Savrasov. 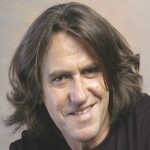 In 1995 Douglas was awarded the Medal of the Order of Australia in recognition of his service to music education and community music and in 2013 he was named Hobson’s Bay Australia Day Citizen of the Year for “making an outstanding contribution to the artistic and cultural life of the city and services to the community of Hobsons Bay”. The 52-member Camerata Chorus were accompanied by the nationally renowned soprano Lauren Savrasov (Oldham) and multi award-winning baritone Adrian McEniery. The event was supported by the Hellenic Broadcasting Corporation, which provided special shots and a film related to the life and achievements of the great Greek Macedonian commander. This has been a unique opportunity to commemorate a great historical figure in Australia and to celebrate his vision of multiculturalism and harmony, a vision that is more relevant than ever to our own contemporary society.